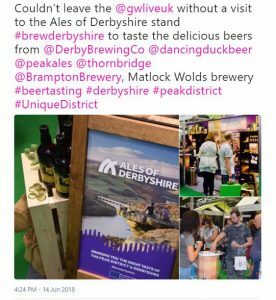 We were invited to work with Marketing Peak District & Derbyshire in helping them promote local Ales within their district. As a team we worked on the initial design concept based around their new branding done by Si from Hammer Design. 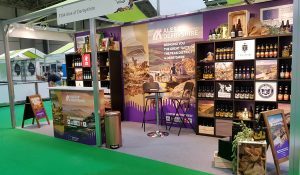 From starting with a shell where the electrics are in the wrong place and the correct coloured carpet missing, we soon created the finished stand to our satisfaction having sourced many items and props which we felt would enhance the stand. 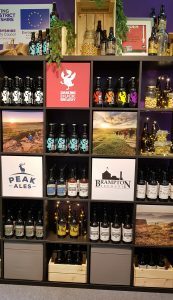 From real hops to crushed weetabix – who can tell at a distance?! Si’s branding worked beautifully with the project, and to see how this tied in with other marketing materials he’s designed read his blog here! As you can see by twitter it was a very popular stand! I wonder why? !